~ THE WEDDING ADDRESS FOR A MODERN DAY PRINCE AND PRINCESS. Taj Jai Mahal, the age old castle is an embodiment of dignity and calm that will make a place in your heart the moment you step in its periphery. The very location of it is a paradox. Set amidst lavish Mughal Gardens guarded by centuries old trees, the palace is amiably quiet as opposed to the chaos and eventfulness of the city. The edible colour palette of custard yellow and rhubarb pink of this grand architectural beauty has a rather soothing affect on you. As you trudge towards the lobby, its huge pillars and white marble floors and artefacts and paintings remind you of the Rajasthan’s magnificence. The ethereal and fuss free spirit of the property is absolutely undeniable. It is simplistic yet opulent and that’s what makes it truly charming. It is indeed a fabulous venue for getting married, for reasons more than one. We are giving you a few in case you haven’t visited the property because otherwise you wouldn’t need any. 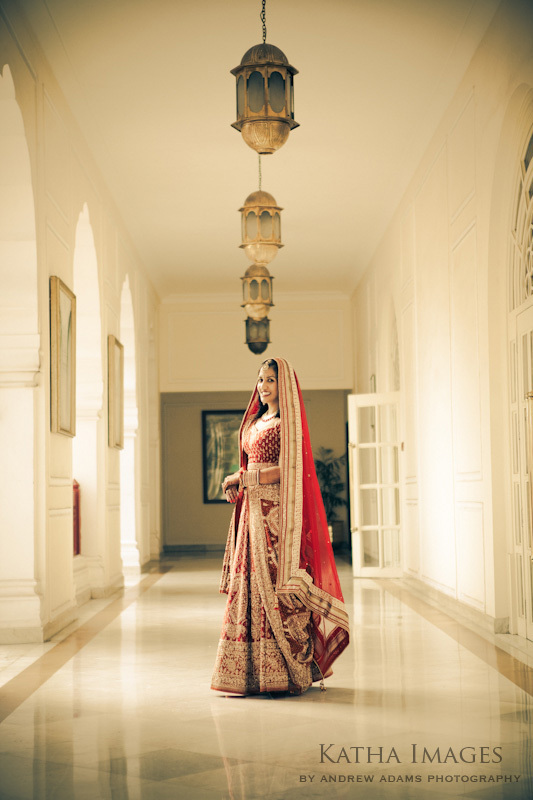 Its verdant lawns are a reason alone to do a wedding at Taj Jai Mahal Palace Hotel. 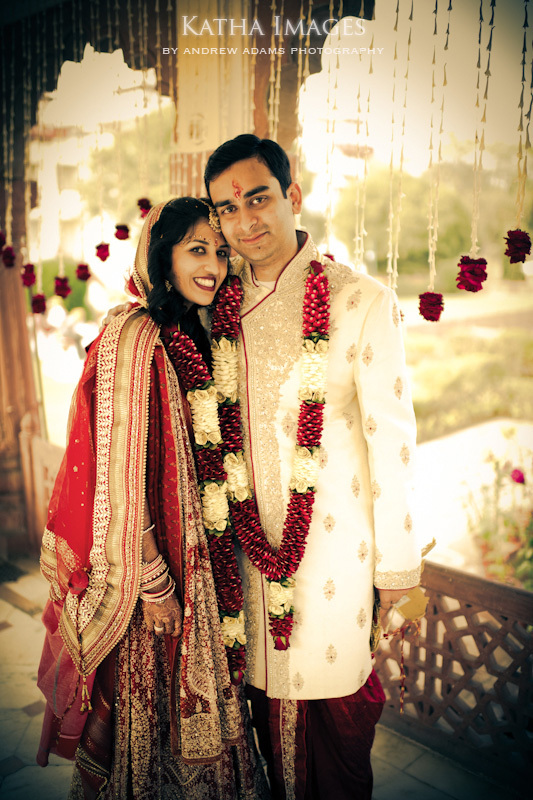 The impressive Mughal gardens are huge enough to host a wedding for upto 2000 guests. 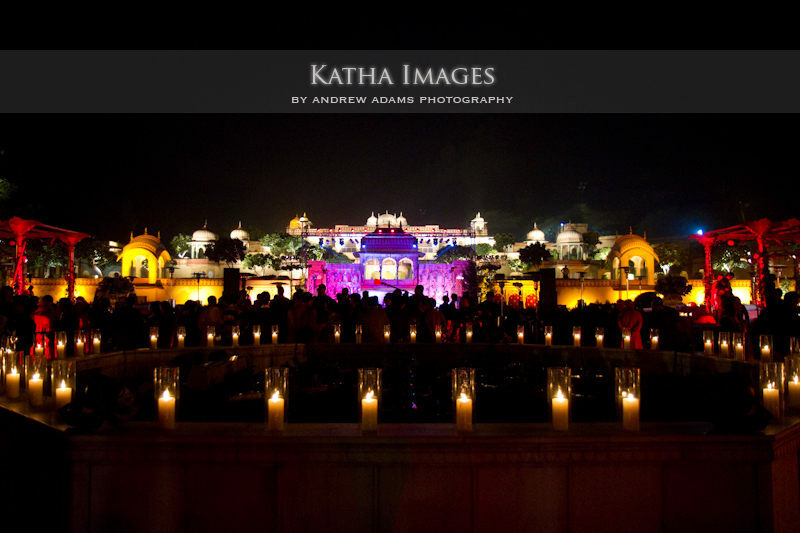 Our favourite is Baradari lawns (stepped lawns) perfect for an outdoor wedding. The arched baradris could be used as a stage for bride and groom or for photo sessions or a set up for musicians and dancers. 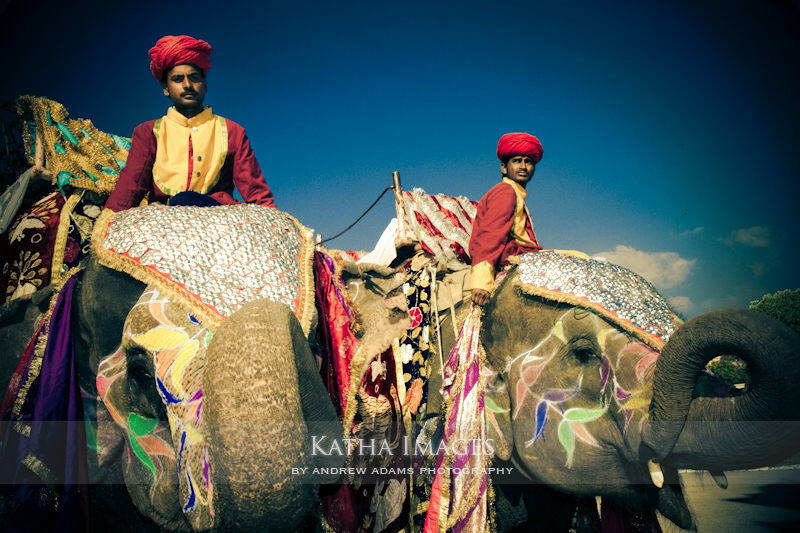 The specially decorated elephants and camels or carriages passing through the lawns exude royal charms. Its poolside lawns are gorgeous and have a quaint aura about it. You could probably do a mehendi lunch or a farewell brunch here. However it is not permitted to play loud music or music after 10 pm, so as not to disturb the resident guests. The fireworks are a big No too. Besides these tiny glitches, wedding in the lush gardens set against the backdrop of a 260 year old palace is as beautiful as it gets. As the hotel is located in the heart of the city, the guests could easily go about for site seeing and explore the historical splendour of Jaipur. If you fancy the royal game of elephant polo, Jai Mahal is one of the few hotels that could host it for you. 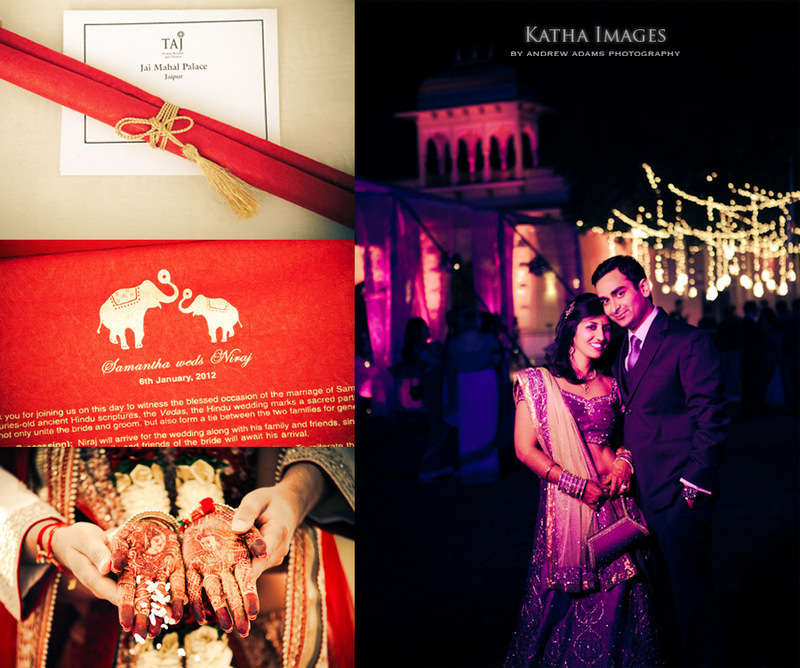 Imagine a mehendi lunch by the poolside and a game of elephant polo for men on a balmy winter afternoon. Or if you like may be a game of croquet over high tea with the wedding gang. 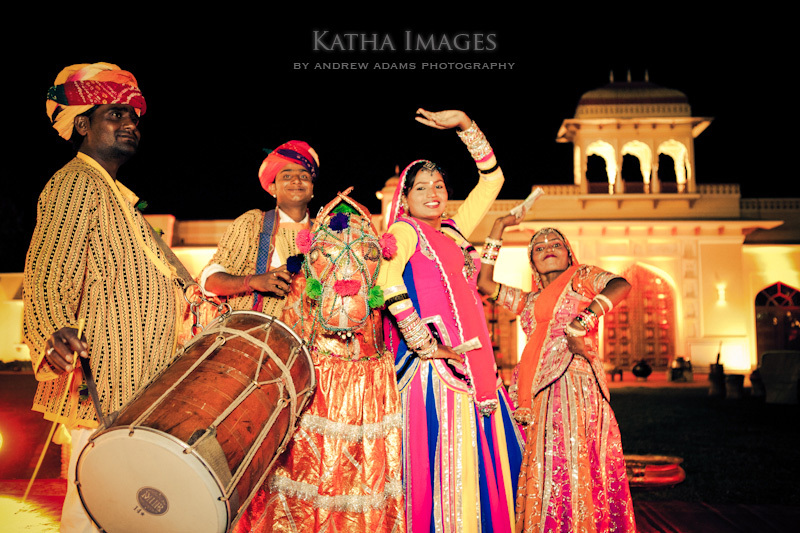 In evenings a special bazaar is created with puppeteers and musicians and kalbeliya dancers, brimming with the spirit of colourful Rajasthan. And we absolutely love the life size chess board game in the gardens. A hundred room property, all of which are tastefully done in traditional Rajasthani decor with silk drapes, colonial furnishings and miniature paintings. We specially like their luxury deluxe rooms with private sit outs overlooking the sumptuous gardens or the pool. Fine dining is a tradition at Taj Properties and this one is no exception. Done in vibrant lilac hues, Cinnamon explores the nuances of finest Indian cuisine. And we absolutely adore the charming al fresco Italian restaurant Giordani by the poolside. Food and ambience are in equal proportions of magic. You could be well assured that you and your guests will have a luxurious experience by all means. With 100 rooms it has a good inventory but in case you want to bifurcate your guest list, ITC Rajputana is next door and you also have the option of doing Cocktail dinner with DJ at cozy royal banquet hall of ITC Rajputana. This is a 3 Hotel series, do read complete series with Samode Palace and Bagh and Raj Palace Hotel . PS. 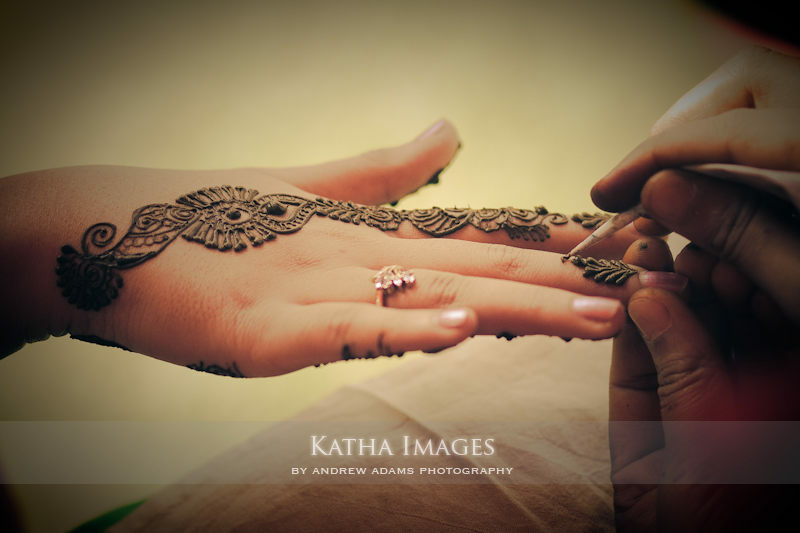 All the beautiful images used in this article are courtesy of Andrew Adams of Katha Images.